Good morning! 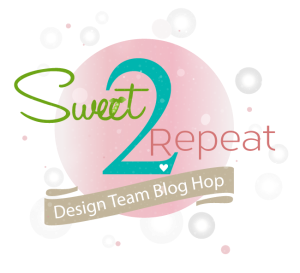 It's time for SugarPea Designs' Sweet2Repeat Blog Hop! Now that you have had a chance to play around with the newest goodies, our Design Team has come up with even more inspiration for you! My first card (above) has a rainbow of inlaid snowflakes in a grid pattern. I used a direct-to-paper technique (also known as smoosh the ink pad right on the snowflake) to colour my snowflakes. This card uses the end of one of the shorter branches from Pinecone Greetings 'upside down' as pine trees. My final project uses the bars from Off the Charts as festive stripes with a message. I created my own topper and edged it with the zig zag edge from Stitched Borders I. Beautiful cards! My favorite is the colorful rows of snowflakes! This is so festive and fun! Darling, darling projects! I love the colorful snowflakes! Beautiful cards. I love your use of white space. I'm always drawn to your designs. All your creations are just perfect ! Your first card was my favorite, because is so coloring! Ardyth, love the difference colored snowflakes, and all the other great cards, you always have lovely cards. The snowflakes are awesome! Love the colors. The trees, oh so clever! Love them. The tag is so cute! Your snowflakes look like a lovely warm quilt. I do so enjoy that bit of bling at your tag top. Your scene matted in that slight bit of red really pops. Pretty creations. Love the colorful snowflakes on the first one. Awesome colourful cards! Thanks for sharing! I love these cards. The smooshing on the snowflakes is so wonderful. My quilters eye would love this to be a winter quilt. Nicely done. These are fantastic! I love the bright colored snowflakes! Omgoodness, these ar3 gorgeous. I love the inlaid snowflakes - the pattern reminded me of a Christmas quilt! Such beautiful projects! I love the colorful snowflake card as it reminds me of a quilt! Oooooh, I love what you made today!!! I never would've thought to use the snowflakes in so many different colors, but this card is just sensational!!! It is just so much fun to look at, and I hope I can remember to do something similar. 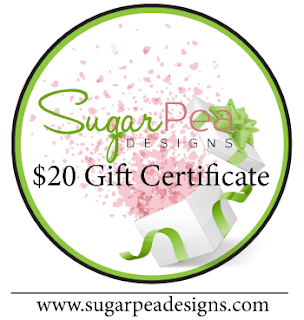 I also love the little tag with its rows of trees between the sweet wishes for peace, joy, and love!!! Great idea!! Thanks for sharing your creative ideas!!!! You can't beat a rainbow at Christmas....stunning!!! Wow, great group of projects, Ardyth! Beautiful cards. I especially love the rainbow snowflakes. Love your cards. That tag is especially festive. Thanks for the inspiration. What a great bunch of projects!! Those bright snowflakes are so fun!! And that snowflake die is fabulous!! (I'm always on the lookout for THE perfect snowflake.) And that second card is gorgeous! Love how you created the trees! Fantastic projects! Love the Happy Holidays scene!